How many of you feel so much pressure to do everything perfectly that you end up actually doing nothing at all? You find yourself making excuses for why you can’t audition for that part in that play, why you can’t write that code, why you can’t apply to that school or certificate program. You are so afraid of making a mistake that you’ve started to miss out on life completely. Your dreams seem more unattainable than ever. You feel stunted, behind, weighed down or like you’re not living up to your full potential. You look at the world around you and think to yourself “how are they doing this?”. You’re surrounded by dream chasers and yet you’re still questioning whether or not to submit your resume for your dream job because you feel like you’re not fully qualified (by the way, men only need to feel 60% secured in their skills in order to apply for a job…). You keep putting off sharing your creativity with the world because you haven’t painted that picture just right, you haven’t written that article just right, you haven’t reached perfection. 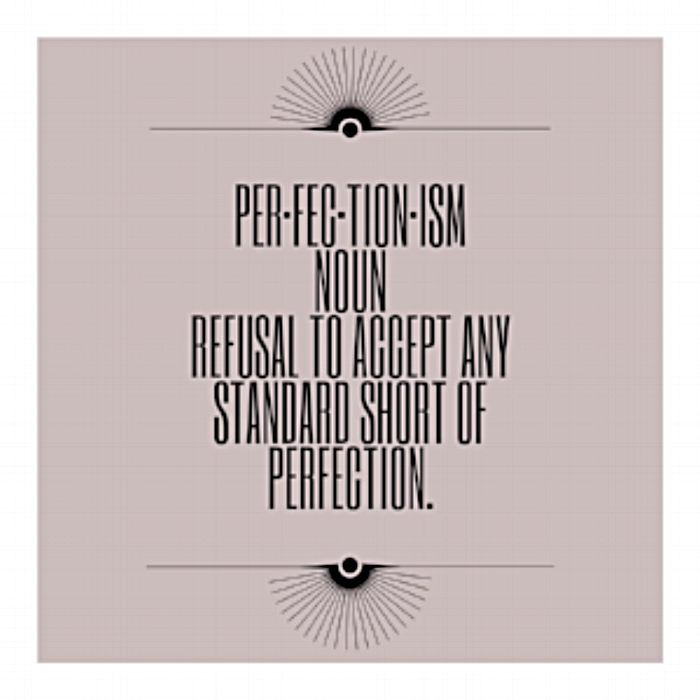 In this WEM Workshop, we will unpack perfectionism and the potential impacts it’s having on our everyday lives. You will identify thought processes that are keeping you from living a full life. You will learn how to let go and trust that whatever life brings you, you will survive. You will gain confidence in yourself and set a course of action that will get you out of your own way and closer to your dreams.